Oatmeal tri-blend t-shirt featuring a CA flag with toad design on the front. My husband loves his shirt. Its soft and comfortable and it's a nice color. COOL!!! Light weight material. Awsome design. I'm wasted!!! 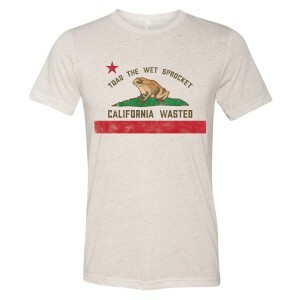 Cali Wasted, that is! Nice T! Thanks Team TTWS!